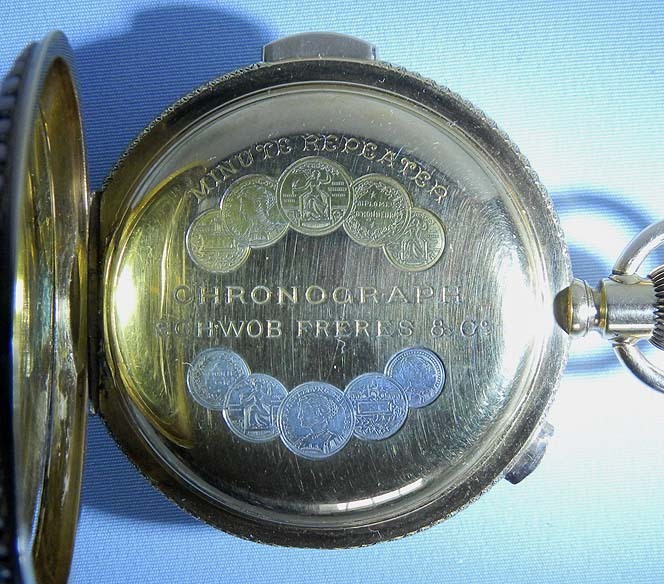 Fine and rare Swiss 18K gold, pearl and painted enamel minute repeater chronograph antique pocket watch for the Chinese market by Schwob Freres, circa 1890. 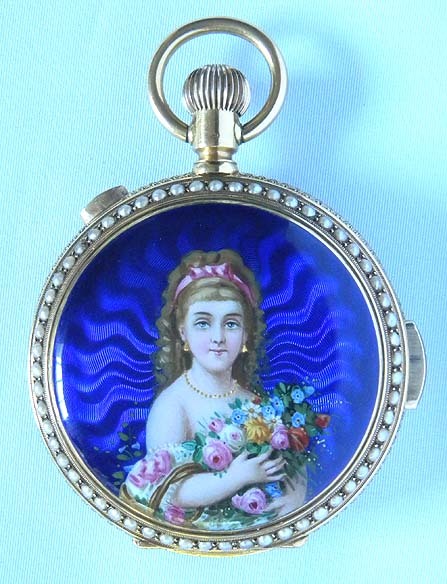 The cover with a portrait of a young woman holding a bouquet against a cobalt blue background. 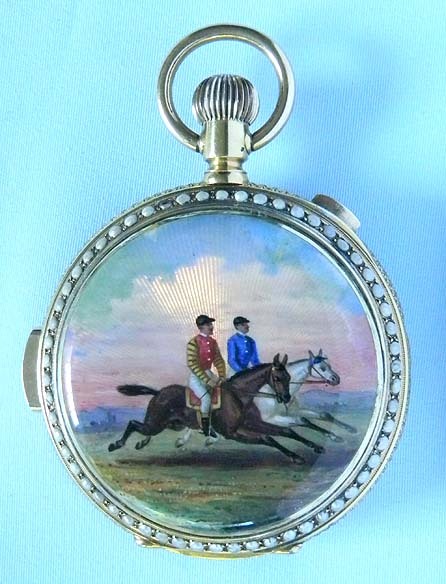 The back with two jockeys on horseback with the engine turning under the painted sky simulating rays of sunshine. Pearl bezels and engraved band. Repeater and chronograph buttons in the band. 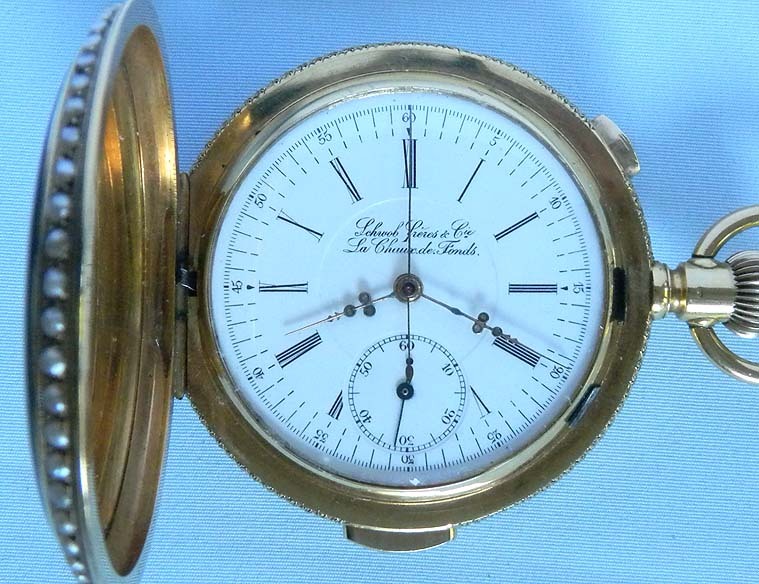 Fine white enamel dial. The dust cover with medals. 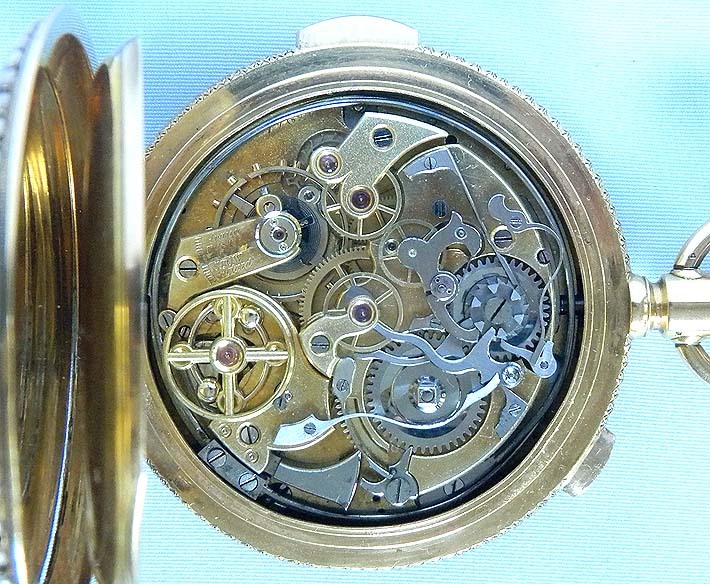 Good gilt 17 jewel movement with silent governor. Excellent example.